What a way to start the New Year! Our hike will be steeped in local history and lore. 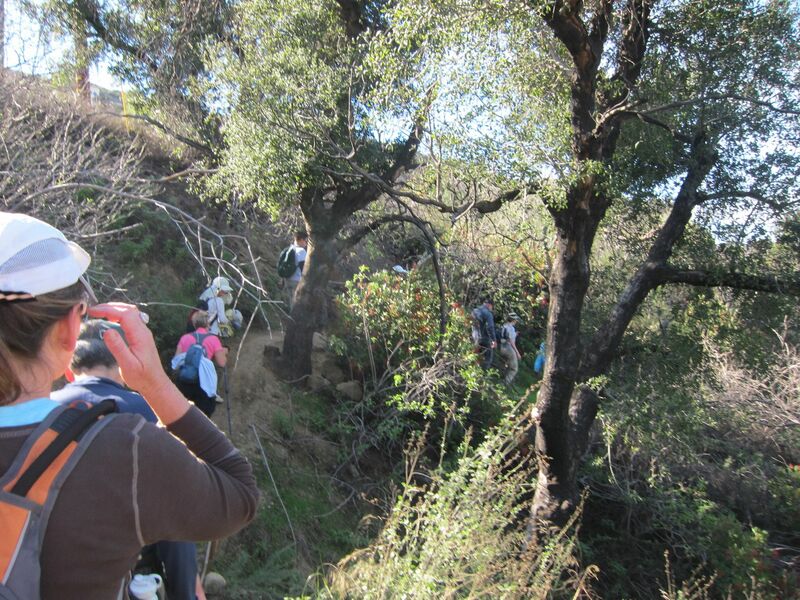 We’ll begin our trek at the top of the Old Stagecoach Rd and venture west through Twilight Canyon to Corriganville. 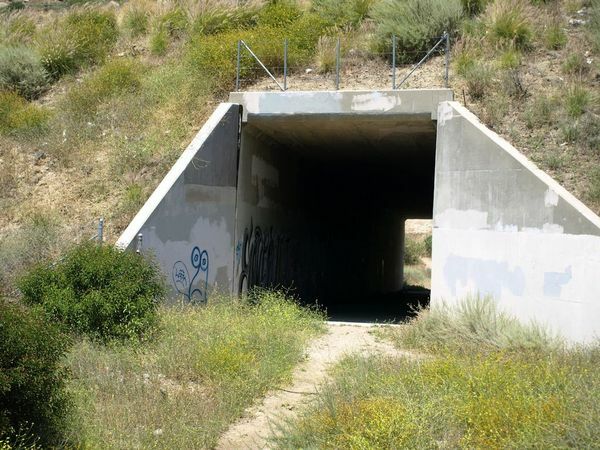 After a little site-seeing and a loop around Corriganville we’ll head up a hill to the 118 and cross under it using the wildlife corridor. From there we’ll take a seldom-used trail to the fork at the Hummingbird Trail and Rocky Peak Trails. We’ll visit the Rock House and have our snack break. 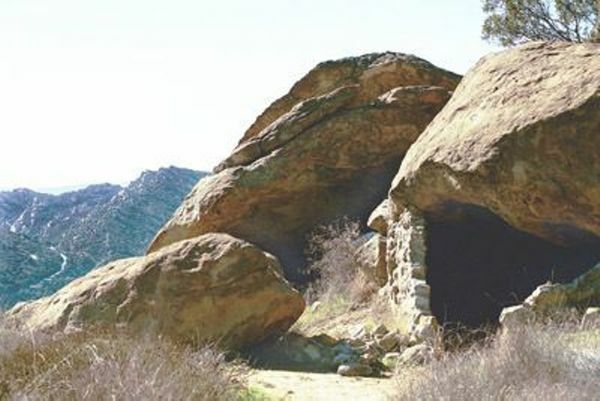 The Spahn Ranch is notorious for having been the primary residence of Charles Manson and his followers, the “Manson Family,” for much of 1968 and 1969. Spahn was 80 years old and living at the ranch when he allowed The Manson Family to move in, rent-free, in exchange for labor. 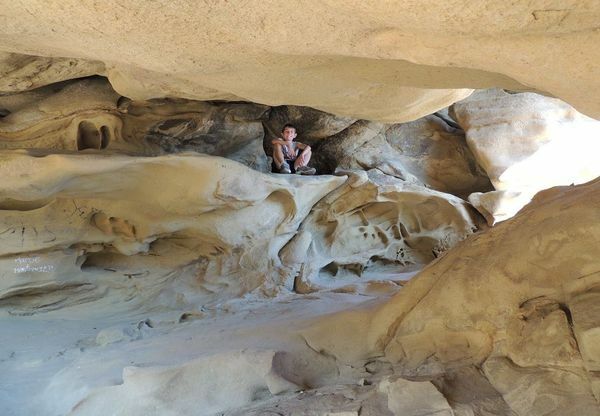 The rock house is a small room under a rock overhang. It was built as part of a movie set. Across the trail from the rock house is a natural cave above the road. Rumor has it that an entire family lived there at one time. Its a perfect spot for our snack break! We’ve been here many times. 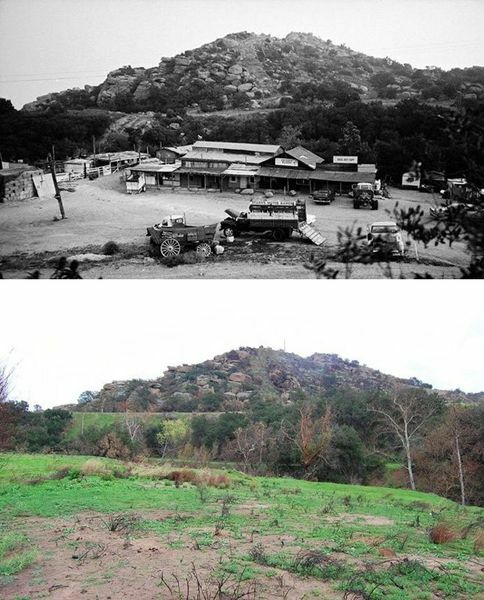 From 1937 to 1965 Corriganville Movie Ranch, owned by stuntman Ray “Crash” Corrigan, was a working film studio and movie ranch for outdoor location shooting. In 1949, it opened to the public on weekends and holidays. In 1965 Ray Corrigan sold the property to Bob Hope. A housing subdivision called Hopetown was developed and built on a parcel near the park entrance. In the late 1960s and early 1970s part of the site was used for motorcycle racing. In 1970 the ranch was swept by fire. In 1979 another fire destroyed virtually all of the remaining structures. Here is a video showing Fort Apache location. From the 118 – Exit Rocky Peak Rd, turn right on Santa Susana Rd. After you pass the Rocky Peak exit off the 118 Freeway, start looking to your left for Lilac Lane. Turn left on Lilac Lane. Drive a short way and look to your left for a large dirt parking lot with a State Parks wooden kiosk. Park in the dirt parking lot and meet at the kiosk. There is no street parking on Lilac Ln. From Topanga Cyn Blvd – go north, and just past Stoney Point is the Santa Susana Pass Road. Turn left, go past Rocky Peak Rd and turn left on Lilac Ln. Drive a short way and look to your left for a large dirt parking lot with a State Parks wooden kiosk. Park in the dirt parking lot and meet at the kiosk. There is no street parking on Lilac Ln.